Saturday was a busy day. 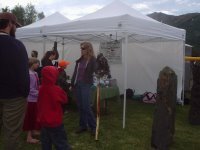 Kelly, Chris, Ellen and myself were at the 25th Annual Scottish Highland Games in Eagle River. The Highland Games is a celebration of Scottish culture and includes athletics, music, dance, food, crafts, and historical reenactment. The weather was great and so were our host and the people who attended. This is a first for us to attend, but I'll bet we're invited back next year. Falconry has long been regarded as the Sport of Kings, and the falcon has been the symbol of high birth and luxury. Chris presented the Merlin and Ellen presented the Rough-Legged Hawk. 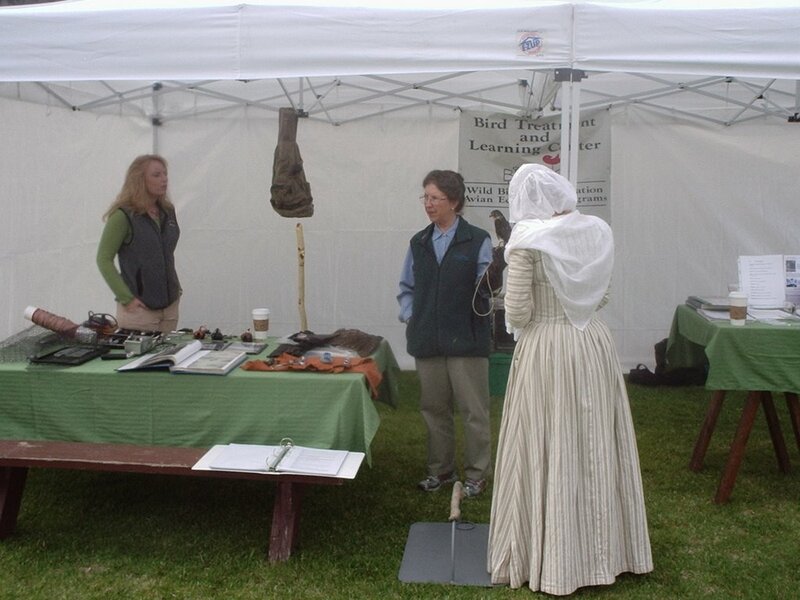 Kelly, an experienced falconer, discussed falconry of yesterday and today. 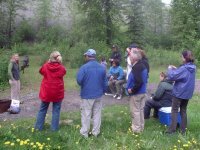 From there Kelly and I went to the Eagle River Campground where we met up with members of the Alaska Wildland Adventures group. 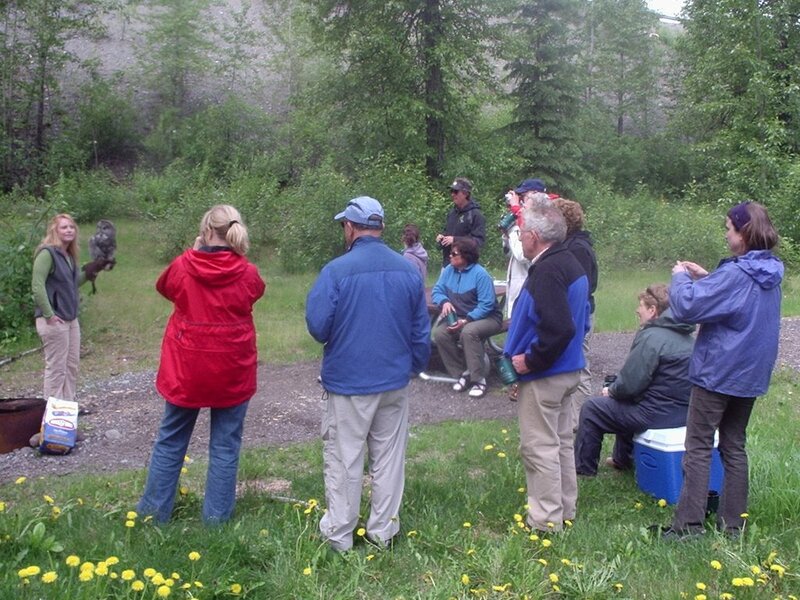 Here Kelly presented the Great Gray Owl for visitors from the lower 48. There we also had great weather and a very curious audience. I enjoy presentations from all three of todays presenters. They are a few of Bird TLC's most experienced volunteers. They are very knowledgable of the birds they present and do a very informative presentation that's very educational and exciting.